Walter Raleigh was released from the Tower of London on 19th March 1616, and at once set about planning his expedition. The planning was, of course, extensive, and little he said or did comforted those at court who were determined on a lasting peace with Spain. 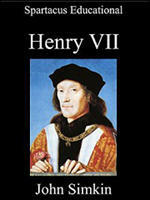 He discussed with Sir Francis Bacon, attorney-general, the possibility of seizing Spanish ships carrying treasure. Bacon warned him against this action as it would be an act of piracy. 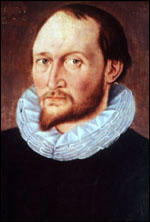 Thomas Harriot died of lung cancer at a house in Threadneedle Street, London, on 2nd July 1621. 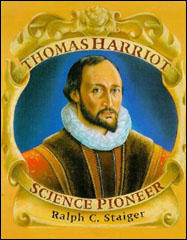 It is believed that Harriot was the first man from England to die of the disease because of smoking tobacco. 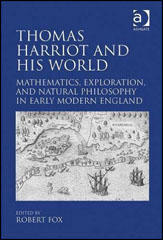 Harriot soon developed a high reputation for the mathematical and instrumental skills necessary for astronomical navigation, stimulated in these studies, perhaps, by the prevailing enthusiasm for exploration and colonies in America. By 1584 at the latest he was employed "at a most liberal salary" by the queen's favourite, Sir Walter Raleigh (c.1552–1618), to teach Raleigh and his sea captains at Durham House in London the sciences of navigation, and to serve him in various other capacities, in preparation for Ralegh's first enterprise to establish a settlement in America. Harriot - but not Raleigh - was a member of the short-lived colony which landed on Roanoke Island, Virginia, in June 1585 and returned to England with Sir Francis Drake in June 1586. Before the voyage Harriot had studied the local language from two Algonquian Indians who had been taken to England in 1584 by a reconnaissance expedition. He even invented a phonetic alphabet to represent the language, and used his knowledge in Virginia to study local social and religious customs, together with plants, animals, and produce. Harriot published a summary of his survey, largely to defend Ralegh's enterprise, as a pamphlet in 1588 entitled A Brief and True Report of the New Found Land of Virginia. At a time of brutal violence between colonists and native inhabitants the text is remarkable for its sympathy towards Algonquian beliefs and customs. It also contains what may be the first printed promotional literature in English for tobacco by an English writer, and Harriot and Ralegh were subsequently credited with the introduction of pipe tobacco smoking into England from Virginia. You will observe sailors and all others who come back from the New World smoking tobacco... By this they say their strength is restored and their spirits refreshed... We have discovered nothing from the New World that is more valuable than this plant... It is a remedy for sores, wounds, infections of the throat and chest and the plague. The Indians have no weapons of iron or steel... They have only bows made of witch-hazel, and arrows of reeds, flat truncheons also of wood about a yard long... If there are any wars between us and them... we have advantages against them in our discipline and in our weapons... They may in a short time be brought to the true religion. They have some religion already, although it be far from the truth.